Added Notable Bishop Benjamin Moore (1748–1816), Episcopal bishop of New York and president of Columbia College. Added Notable Professor Clement Clarke Moore (1779–1863) was credited with writing the poem, "A visit from St. Nicholas," beginning: "Twas the night before Christmas when all through the house / Not a creature was stirring, not even a mouse." Sackett, Benjamin Edwin (1911–2002), FBI special agent who cracked a German spy ring in New York in the lead-up to the Second World War. (Further data is being researched and will be added later). Patti Lee Hobbs has taken over from Chris Sackett as Administrator of the Sackett DNA Project. 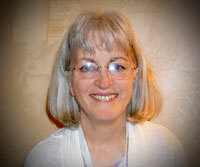 Patti is a certified genealogist, has a degree in biology, and has taught classes on genetic genealogy. Her appointment significantly increases our range of expertise. See The Sackett DNA Project. Sackett, Herbert Leyland (1893–1924), brilliant young surgeon who died from the same infection and on the same day as his father Reverend Walter Sackett who Herbert was treating. See Change Log for all updates to the website, including lists of new & revised genealogical sketches. Sackett, Lyman Belcher (c1840–bef1894), American Civil War soldier who deserted to India, via Australia, was the progenitor of several generations of Sacketts born in India. The parentage of Lyman Beecher Sackett, found in Indian records, was until now a mystery. His marriage record has been found, and this identifies his father, also Lyman Sackett. The connection is confirmed in court records of the will of the senior Lyman, who died in New York at the age of 22. The senior Lyman's mother was Clarissa Belcher, and it seems that "Belcher" became "Beecher" in Indian records. This discovery means that the Sackett line of a number of Association members (listed above), who are descended from Lyman Beecher Sackett, is extended back a further ten generations. Sackett, Samuel Arthur (1841–1932), a Mormon, fathered 24 children by polygamous marriages to sisters Mary and Laura Peterson. He left a fascinating account of life in the Old West. Sackett, Henry (1851–1928) emigrated in 1870 from Essex, England, to Texas, USA, and became a member of the Texas House of Representatives. Sackett, Ivy Florence Annie (1907–2015) emigrated as an orphan at age 14 from England to Canada. She died aged 108 and is the oldest recorded Sackett. Sackett, James M "Jim" (1928–2015) was a veteran of the Korean War and a founding member of the Sackett Family Association. 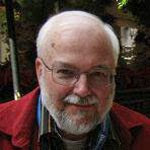 Thurmon’s database has been moved from a sub-directory of the Sackett Family Association website to a separate site at http://sackett-tree.org/. Links from TSFA site have been amended. The database is managed by Ted Smith, and members can contribute directly by visiting the site and requesting an account. James M "Jim" Sackett, a veteran of the Korean War, died in Chicago, Illinois, on 20 June 2015. He was born in St Petersburg, Florida, in 1928, son of William Warren and Garnett (Hill) Sackett. Jim served ten years in the Navy aboard the USS Antietam. Jim was one of the founding members of the Sackett Family Association (#19). He is remembered with great affection by Association members George and Arabella Sackett, who became close friends as a result of their shared love of family history. Arrangements are in hand for our next reunion. We will be meeting in Fort Wayne, Indiana, September 17–20, 2015. 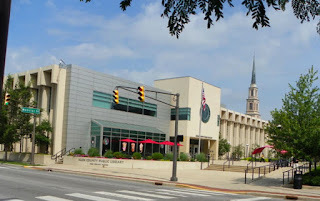 We have a block of rooms set aside at the Hilton Fort Wayne at the Grand Wayne Convention Center which is close to the Allen County Library Genealogy Center. The rate is $112.00 a night plus tax. The hotel has created a special website for you to book your room or you may call them. Our group code is SAC. The 2015 Sackett reunion convenor, Liesa Robarge, will be pleased to answer any questions. Association members may also write to the Sackett mailing list. Please leave a comment if you are planning to attend. 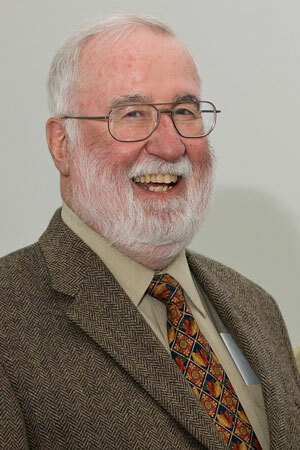 Dr David Sackett, a pioneer of evidence-based medicine, has died aged 80 in Ontario, Canada, on 13 May 2015. Amongst Dr Sackett's achievements was his proof, through clinical trials, of the value of taking aspirin in preventing heart attacks and strokes. The new Sackett Family Association committee has elected Ted Smith as its president to serve for 2015–16. He succeeds Darlene Sackett who has retired by rotation. Full details of the committee are on the Association page of the website. Election of these candidates was endorsed by the votes of 45 members of the Association. 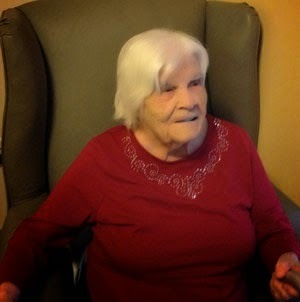 Ivy Florence Sackett has died on 23 April 2015 at the age of 108 years 12 days. She is the oldest recorded Sackett. Ivy was born in Canterbury, Kent, on 11 April 1907, the daughter of Percy Ernest Sackett and Rose Hoare. She was orphaned as a child and, at the age of fourteen, was sent to Canada to go into domestic service. Her resettlement was arranged and paid for by Dr Barnado's Homes. She married in Canada in about 1931 William Garnet "Bill" Alger. He died aged 91 in 1998. 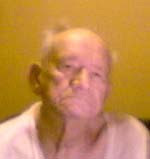 Ivy and Bill had a son, William Beverly "Bev" Alger who died in 1995. Among the revised sketches is the medical record of Richard Henry Sackett's wife Elizabeth, who was confined several times in the Bethlem Hospital, London. This was the lunatic asylum notoriously known as "Bedlam" because of its dreadful conditions. By Elizabeth's time, however, there had been big improvements and the records give a sense that patients were treated with compassion and professionalism, although she was still subjected to "leeches, blisters, and purgations" to relieve her headaches. Added Genealogical research report Who were the parents of Gad/James Sackett?